Created by Brian Mehler and inspired by mid-century design, the KOR Woven Armless Bar Stool has an edgy design with a woven curved back and aluminum arms with arched, angled legs. 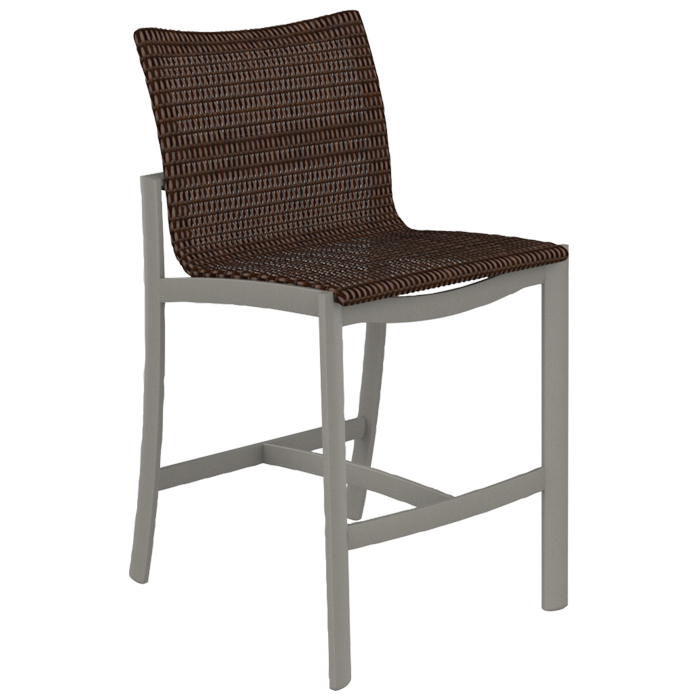 Mix and match your choice of the Strand Weave with one of Tropitone's Finishes to create a unique outdoor bar stool. The contemporary, upscale design and quality of the KOR Woven Armless Bar Stool will stand the test of time.